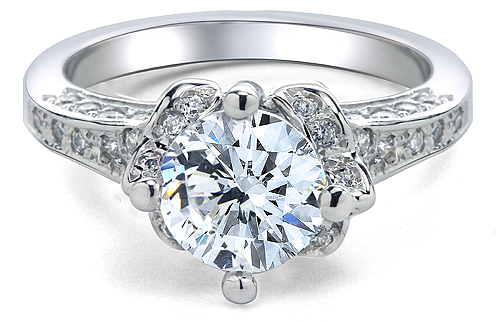 The Campeau Round Cubic Zirconia Micro Pave Antique Estate Style Ring features a brilliant 2 carat 8mm round center stone in an antique estate style setting that is to die for. 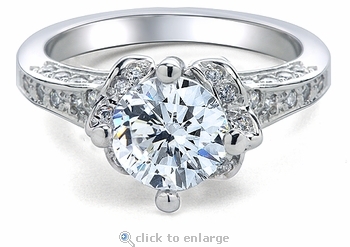 Additional micro pave set round diamond look cubic zirconia enhance its antique estate style design for a total customized look that does not look like you purchased an off the shelf style ring. 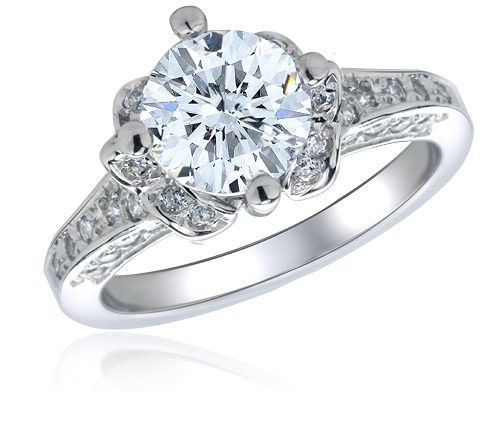 Russian formula hand cut and hand polished cubic zirconia stones are micro pave set on all three sides of the shank and flow up to beautifully enhance the 2 carat round diamond look center stone. 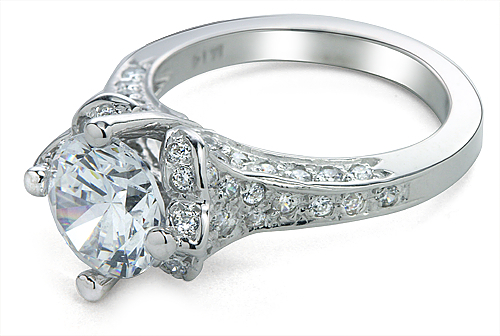 The narrowest part of the shank on this ring measures approximately 2.5mm in width and includes approximately 4 carats in total carat weight. The Campeau ring is shown here in 14k white gold but it can also be made in 14k yellow gold, 18k gold or luxurious Platinum via special order.